Self-described as a "small, broken and stupid game," Goat Simulator has already become a cult favorite of quirky gaming aficionados. And it isn't even out yet. Launching April 1 (unless it's one of the most epic long cons in April Fool's history), the $9.99 video game now has an official launch trailer, and it is something else. 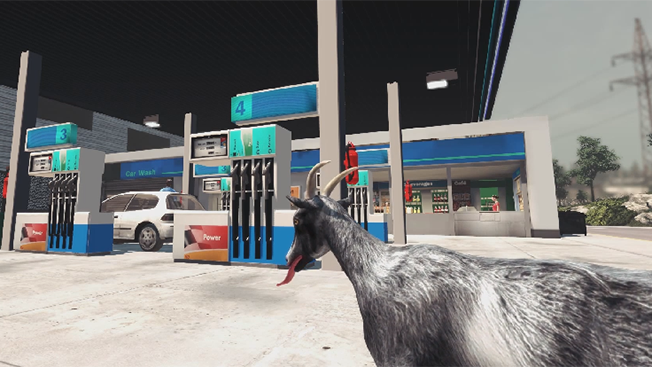 Largely a parody of the widely acclaimed announcement trailer for Dead Island, the Goat Simulator preview highlights just some of the chaos generated by the game's barnyard protagonist. Check it out for yourself, and if you're curious to see more of the game's rag-doll craziness in action, watch an older video after the jump.